How pleased are you with the number of entries for the show? Does it meet your expectations? Slightly more than 18,000 dogs entered to the World Dog Show is relevant to nowadays’ economic situation. I am not disappointed, but it is true that I had expected around 20,000 entries. It should be noticed, that in Hungary the number of show dogs is smaller, and their abscence could be noticed. But I was compensated with the CACIB show’s entry – the day before the World Dog Show – which produced 6,000 dogs, and the largest number of entries ever at the Terrier Show, the INTERRA, the ATIBOX with more than 700 entries and the number of the entered Hungarian national breeds which was almost 1,000. Compared to 2008 there are hardly any problems. What were your major changes? This was a good opportunity to correct all the mistakes wich appeared - even it was a successful one - at the European Dog Show in 2008. We analysed and modelled the most optimal traffic management and parking facilities with the experts of transport in Budapest, more than a year before the show. I think everything worked perfectly. It looks as if the relation between MEOE and the Hungarian Government is more than OK now. Do you think MEOE will benefit from it in the long term and in what way? More than a year of my work resulted in the development of the cooperation with the Hungarian Government. We have an excellent relationship with several ministers from the Government, and they could personally experience the importance of the World Dog Show for Budapest and for the entire country as well. After closing the World Dog Show, we are reorganising the professional job of the MEOE in coordination of the Agricultural Ministry. The breeding will be controlled by our state-recognised clubs. And the MEOE maintained the leading position in the Hungarian cynology and the priority to own the FCI rights. The show is great and everybody seems happy, but what do you consider the remaining weak point to keep on working on, in case there will be another European or World Show in the future? 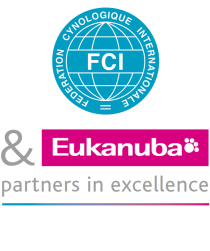 We received hundreds of e-mails, congratulations and wishes from all over the world from exhibitors, famous breeders, Presidents of kennel clubs, judges and from international media representatives. In the Hungarian Parliament many speeches appreciated the world event. Weak point? We will strenghten in two ways: wider commercial policy to a higher number of entries, and - because of the volume of these events - we will employ more staff, even in paid status or as activists. Any plans for a candidature in the future? I am pleased that you mention this. Yes, we are planning a new flagship event in Hungary. The MEOE organised the European Dogshow in 2008, and we think that this cooperating staff shouldn’t be left without job: we would like to organise an European Dog Show in 2018 – ten years after our first, in Hungary. I hope that all those who left us in 2013 with the impression of a good experience will be welcome in 2018, with new surprises, just like in Budapest.